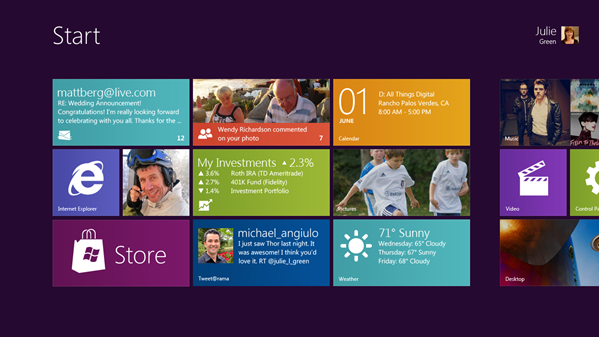 As we reported yesterday, a new build of Windows 8, build 7989, has surfaced. Slowly but surely, it’s finding its way onto file sharing sites, and some Windows enthusiasts have already dug deep into it. Among the new features found, there’s a new virtual keyboard, per-feature licensing and SMS support. Windows enthusiast Thomas Hounsell has posted on his Twitter account several details about Windows 8’s hidden features. By reverse-engineering certain files, Hounsell uncovered code that pointed to an App Store and more importantly, the ability to unlock certain individual features within the system. While it’s still no indication on what Microsoft plans to do with this, per-feature licensing could do away with Windows editions: instead, all users would start with a single, "bare bones" edition of Windows and purchase individual features as they saw fit. Microsoft’s server operating systems have allowed this for years, although all "upgrades" are free of charge. This proven feature has allowed IT managers to easily customize their servers installations to their needs anytime they see fit. Bringing this down to the client level would certainly benefit power users. I’m no expert in programming, but you’re free to check out Tom’s code dump right here. Mac OS X Snow Leopard included API’s that allowed applications to detect the machine’s location. That’s used by the operating system to detect the user’s time zone, for example. That feature seems to have interested Microsoft, since they seem to be trying to implement it, if code found in the latest leaked build of Windows 8 is to be believed. SMS support is also being implemented, a feature that many wouldn’t associate with Windows devices. This is another piece of evidence that Microsoft is aiming the new system for more than just PCs. There’s no reason why 3G capable tablets or netbooks shouldn’t be able to send SMS, or even make calls. This could be the beginning of that. Both of these features were discovered by Thomas Hounsell as well. You can check out the full code dumps here and here, for SMS and Geo-Location respectively. Microsoft surely has more up its sleeve, and enthusiasts will certainly keep digging up details on this build. The Redmond company will surely disclose it all, or most of it, at this coming Professional Developers Conference, which is scheduled to take place from September 13th to the 16th. We’ll keep you updated if more features surface.